The height of the base pipe can be adjusted to your preference. The pottery bowl will unscrew from the pipe base and can be stored inside for the winter. (Cover the pipe top so it won’t fill with water and freeze). The pipe can be permentantly cemented into the ground or simply pounded into the ground depending on the location and soil condition. If you pound the pipe into the ground, do not pound directly on the threaded piece. 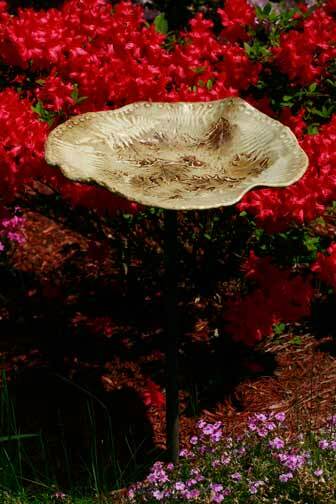 Every bird bath is created with some clay and a rolling pin and fired in a kiln twice. Each is very different then the next and are truly one of a kind. 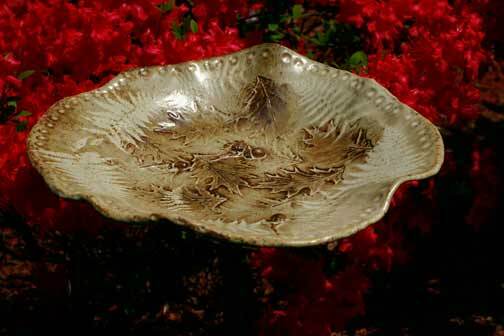 Each piece is unique and the size and pricing will vary according to size and detail. 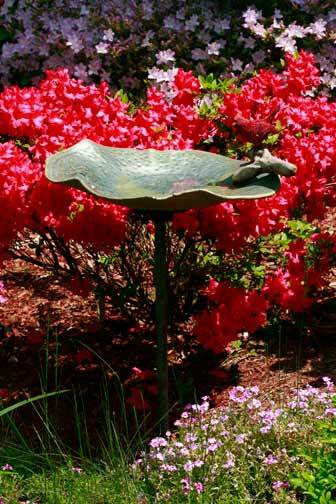 Pictured here are examples of previously sold bird baths. Please inquire for current stock or come pick one out at a craft show. 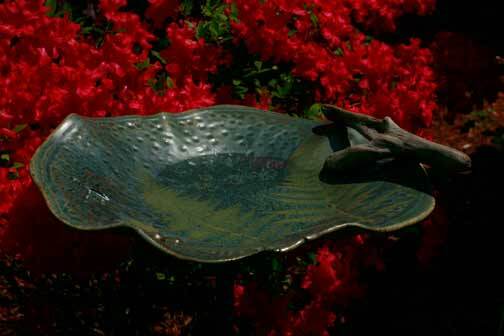 They can be shipped if necessary but it would be best to ship just the pottery bowl as the pipe can be easily purchased locally at a hardware store like Home Depot.